CONGRATS to our winners: Shaunna B, Kara A, Josie S, Dorian C, and Amelia B! Stay tuned for more contests soon! 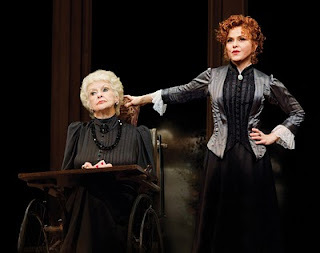 Bernadette Peters stars in the first Broadway revival of Stephen Sondheim’s Tony Award winning masterpiece: A Little Night Music. The witty and urbane musical takes place in a weekend country house in turn-of-the-century Sweden, where surprising liaisons, long-simmering passions and a taste of love’s endless possibilities are all brought to light. Want to win tickets? Simply send an e-mail to nycdailydealscontest@gmail.com and tell us why. We'll pick five winners tomorrow. Please limit responses to 100 words. Not one of the lucky winners? You can click here for information on how to purchase discounted tickets to the show!